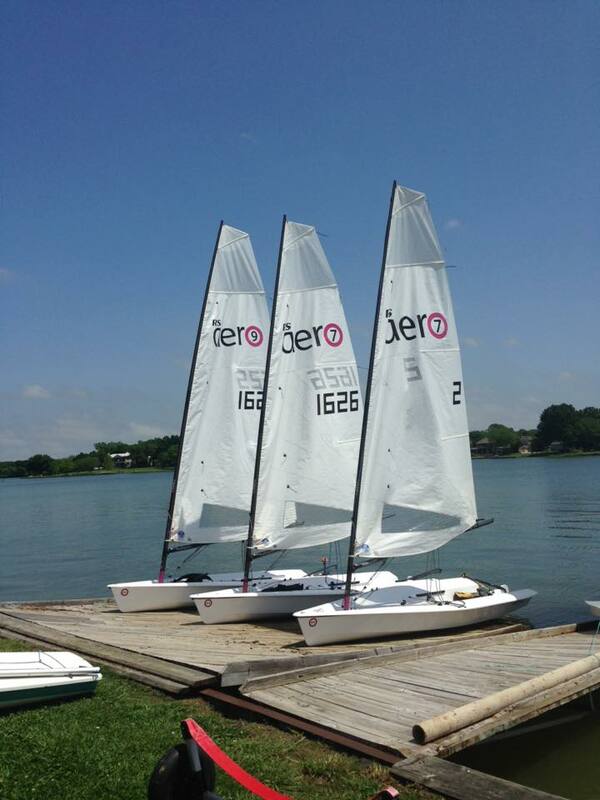 'RS Aero's go 1-2-4 at RCYC Dinghyfest. Sunday was a blow out as the RC couldn't set anchor in 25-30+ with big lake swells. Saturday - First race good breeze, couldn't touch Hank. Second race dying breeze. Hank got me as the wind died going to finish. Third race a drifting match. As we left the harbor Sunday morning we were greeted by boats already returning from the course saying, the race was abandoned. Hank, Derek and I looked at each other and said "Reach Time!!!" And we blasted off toward the Laser fleet at 14+ knots. Hank hit 15.3 which will move him up on the he Speed Freak chart. Seems funny to say "Only managed 15.3 knots. Sure wish we could get more". The boat is just so easy to control in big breeze. Did put on a brief show for the Laser fleet before we headed in. In the end Hank wins, I was second and future Aero owner Derek McKesson ended up forth. Highlight of the day definitely goes to Derek for his death roll on a close reach in 25 knots of breeze. Beautifully executed death roll into a bear away 180 capsize ending up turtled, Judges gave him a 9.8. Lost 0.2 points when he lost his water bottle. Wish I would have had a camera on him. It was classic. 'Wow, what a morning! Here at RCYC;gusting to 25 at least, I've gone out surfing on days with smaller waves, needless to say all racers return to shore. Reached around for a while, Hank saw 15.3!, flat out screamin, managed to capsize to windward on a big lull, easy as pie to right, so light it rolls into the wind, so wonderful.